People who receive healthcare services are customers. Because today’s patients are consumers and have a choice about where to go for care, there is increasing competition for their business. It’s important to not only maintain current customers, but attract new ones. That’s where good customer service comes in. But part of the effort comes from identifying who, exactly, the customers are, as well as how best to service their needs. The customers in a healthcare facility’s community are increasingly diverse. Meeting expectations is tricky in the best of times, but add in cultural differences and providing good customer service can be even more challenging. People in different cultures have different expectations as to what great customer service is. And meeting this challenge can make the difference between keeping customers or losing them. 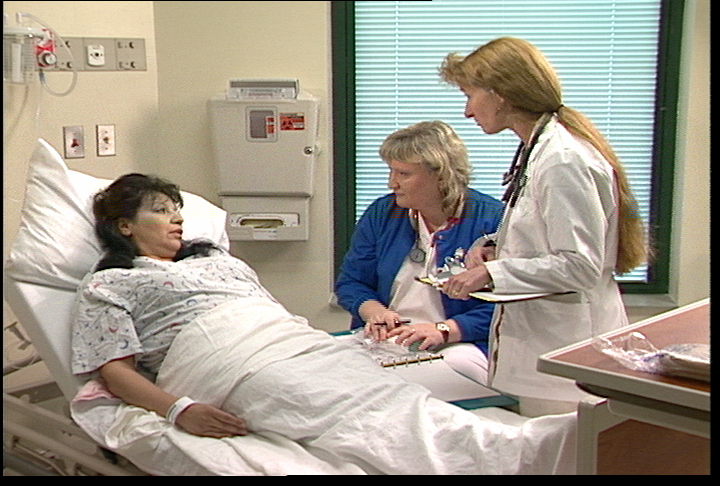 Cultural competency in the care of patients is required by The Joint Commission and other accrediting agencies. In addition, the introduction in 2008 of HCAHPS (Hospital Consumer Assessment of Healthcare Providers and Systems) survey scores have stressed the need for improved customer service. HCAHPS surveys collect and publicly report patients/customers perspectives on their care experience with providers and office staff. CMS implements financial incentives for hospitals that participate in the survey, and as of October 2012 use HCAHPS as a key component to calculate value-based incentive payments. What does this mean to the average hospital? While improved clinical outcomes will determine 70% of incentive payments, patient satisfaction scores will determine the remaining 30% of incentive payments. This means hospitals with low HCAHPS scores could be financially penalized. Obviously, it is in the hospital’s best interest to make patients happy through a great care experience, while at the same time improving health outcomes during the hospital stay and after discharge. Isn’t this the epitomy of patient-centered care? These are, in fact, the basic elements that HCAHPS are tracking. Some items listed such as clean rooms and a quiet atmosphere can be improved by administrative policies and protocols. But the rest require ongoing personal effort by everyone at the facility incorporating good customer service. These are the basic elements of attracting and keeping patients as customers through better cultural understanding, and improving HCAHPS scores at the same time. These 10 principles will let patients know you care, that they are not just another number, and that their business is invaluable. Customers have a choice about where to go, and when you practice good customer service, their choice will be with you. How can YOUR facility do more to retain and create new patients, and do so using cultural sensitivity? A general orientation training program for healthcare staff regarding improving customer service skills is now available at Envision, Inc. We are currently researching to create a new program on Cultural Sensitivity in Healthcare and are always open to suggestions for training needs. Please email me at lisa@envisioninc.net. Entry filed under: cultural diversity, cultural sensitivity, customer service, health care, patient-centered care, staff education. Tags: acute care, ambulatory care, CMS, cultural competency, cultural sensitivity, customer service, education, HCAHPS, health care, hospital, patient care, patient safety. You shared very helpful advice thanks for sharing. Thanks for sharing superb article about Improving Customer Service In HealthcareThrough Better Cultural Sensitivity. This is very useful information for online review readers. Keep it up such a nice posting like this.